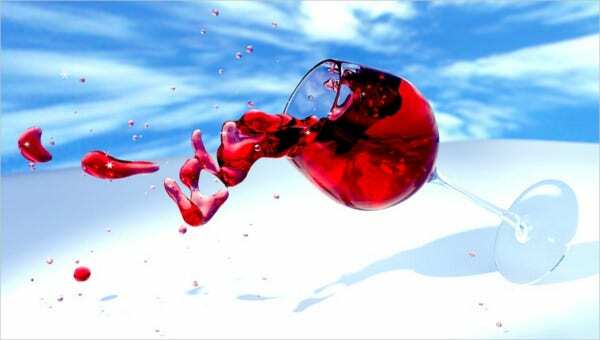 Are you interested in wine tasting or do you own a cellar or a brewer? 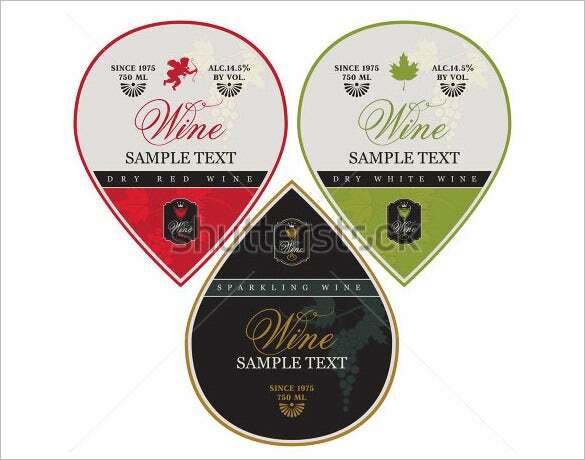 Free wine label template gives you immense pleasure to start your own business seeking best of the templates from grapes picture in green colour to red colour with latest designs. 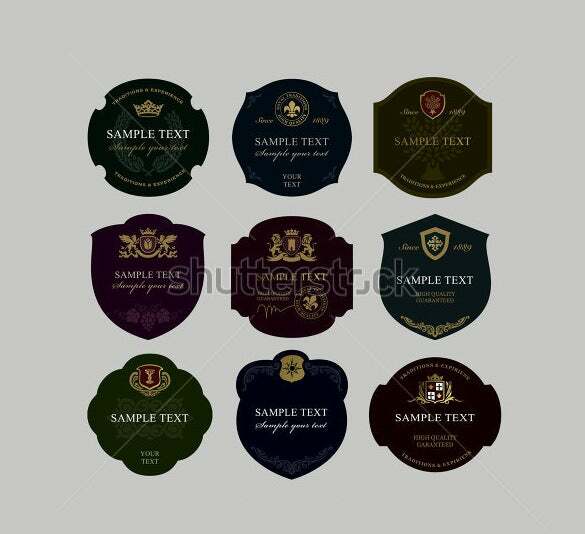 To PSD download wine label template you have to have passion for wine taste since it gives you sinful experience to usher in the delight of exotic wines from all across the world. 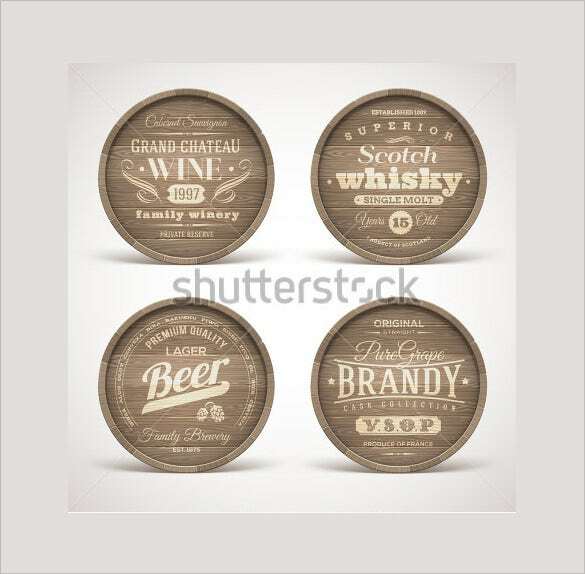 You can also see Water Bottle Label Templates. 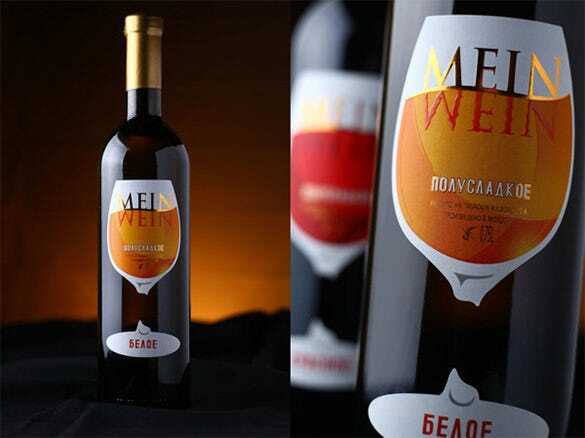 This vector format wine label design template will help you to create your own wine labels for sticking on the bottles. This template is extremely colorful, add your company name and logo and then get it printed in good quality inkjet. 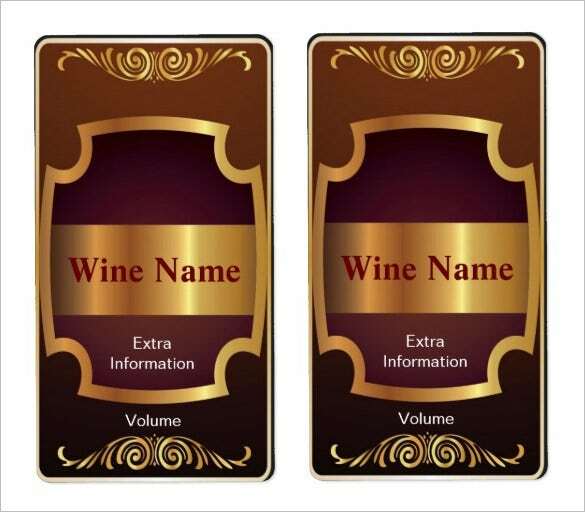 For creating labels for exotic wine bottles, this template will work like wine label maker. It is 100% customizable, you edit the text content and replace with your company details and your company logo, change color if necessary and print. 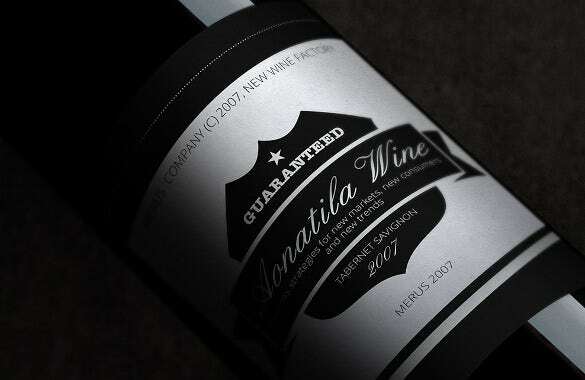 Opt for this wine label template download, if you want to create wine bottle labels for some vintage wine collection. 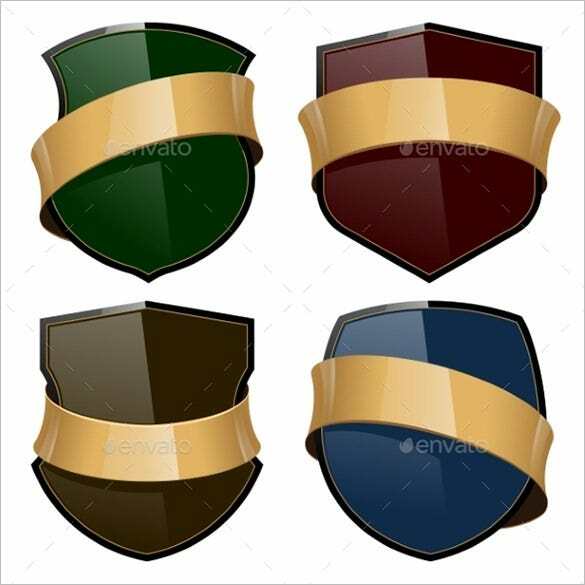 This extremely royal looking template can be very easily customized as per your requirement. 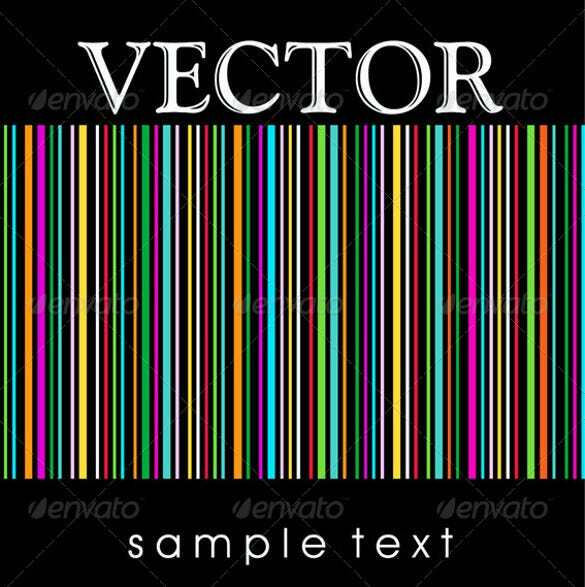 Change colors, add your own text, company logo and print. 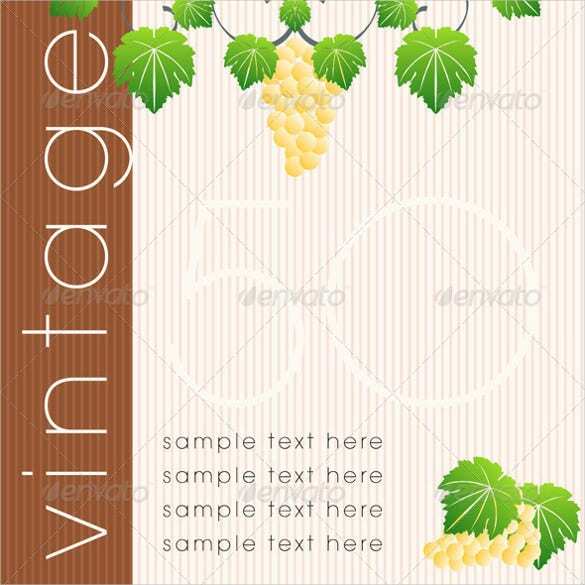 This is a fun wine label design template set having the image of grapes. 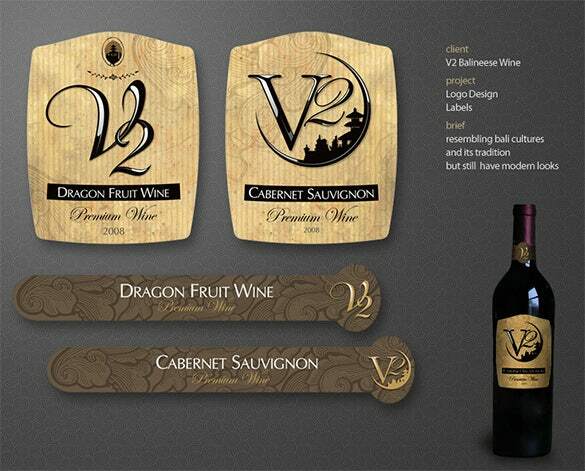 Use it to create labels for your wine manufacturing company by totally customizing it. 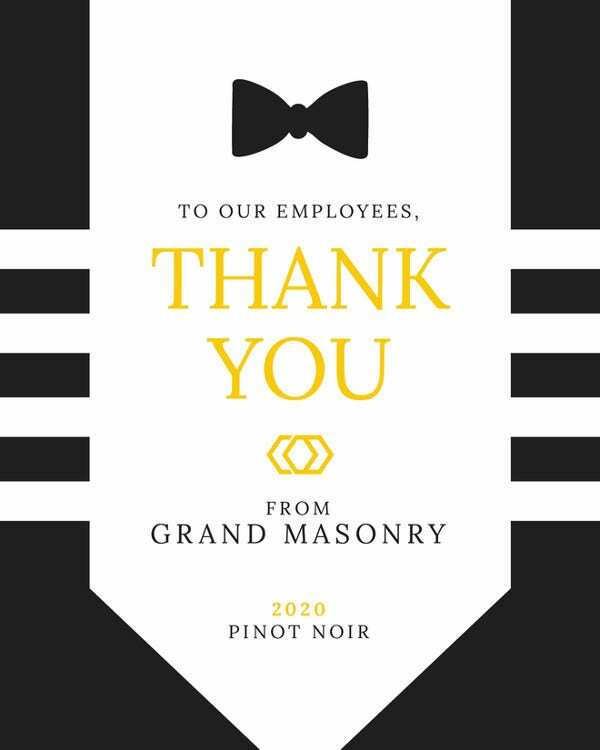 Add your text with company details and company logo. Change the colors and print. 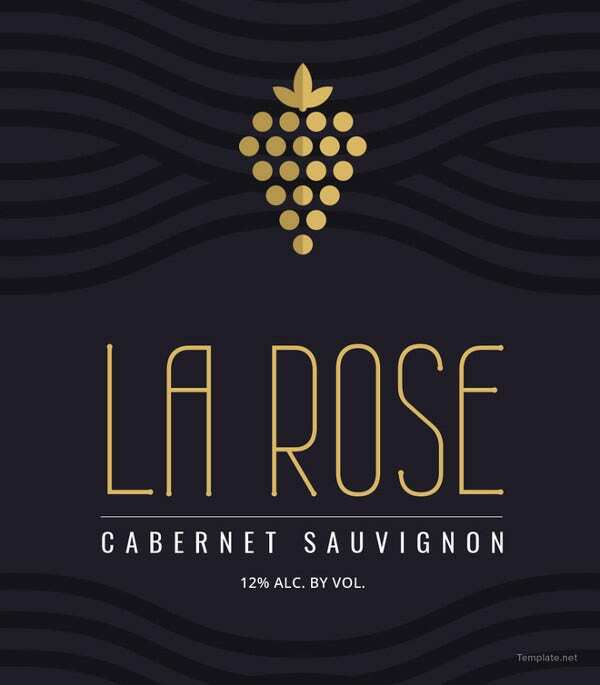 A beautiful and smart wine label template that will gently sit at the bottom, enabling you to flaunt the dashing contour of the bottle with style. The template can be resized to any size easily. 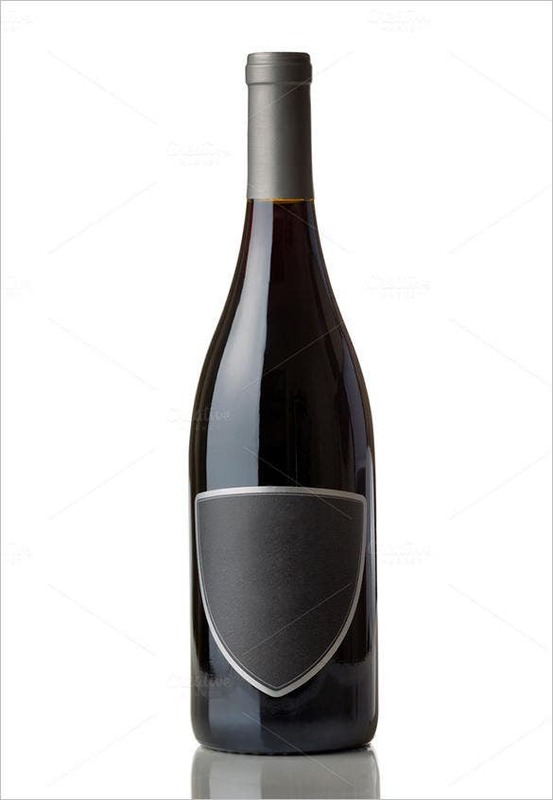 The U-shaped triangle look has rendered a classy attitude to the label which in turn accentuates the elegance of the overall bottle by a great extent. The white & faded black combo looks great. 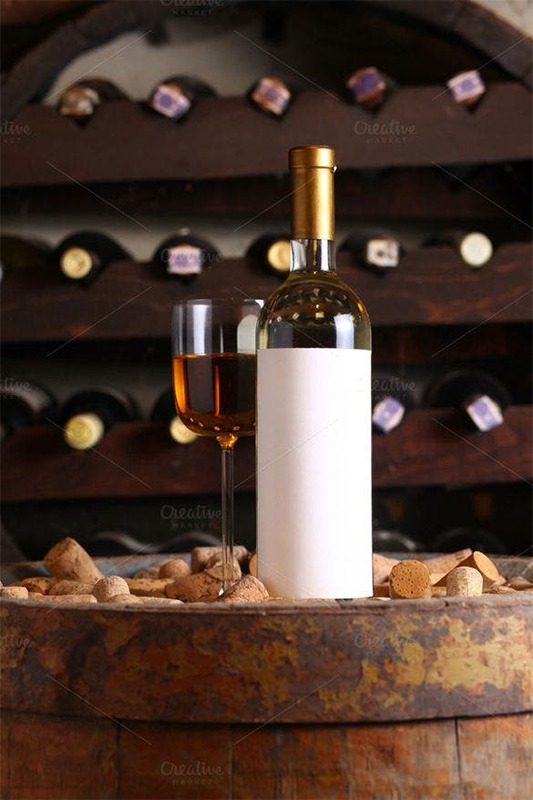 With labels shaped as big droplets- wine bottle labels have never been this classy! 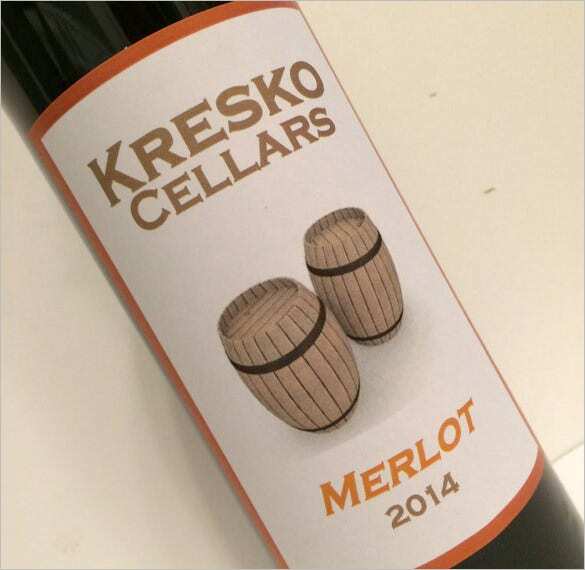 Available in a good range of shades, the label template can e easily customized with your text data. 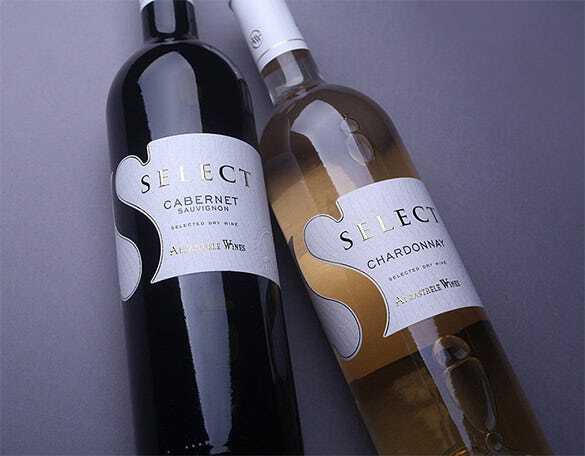 The USP of the label is surely the “S” contour beautifully created by a fitting gap between the two ends of the label template. 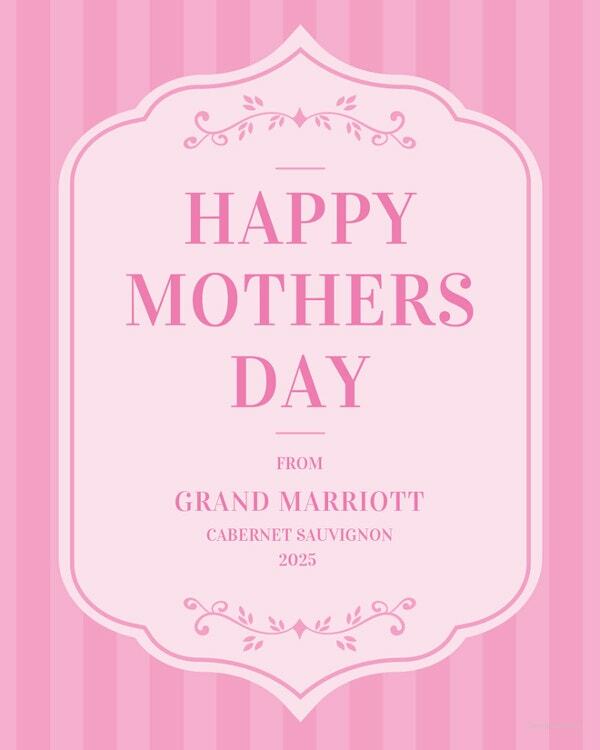 It’s classy, graceful and full of right attitude. 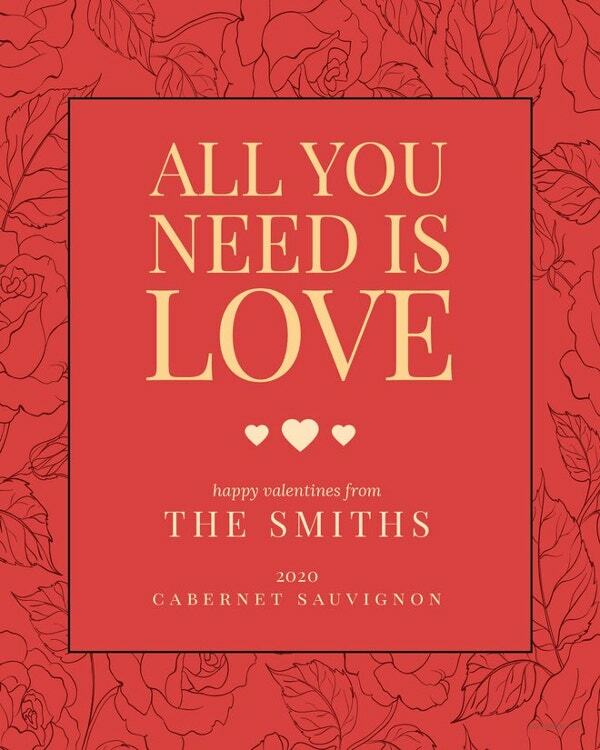 This is the template for you if you are looking to create a unique rustic charm with your wine label. 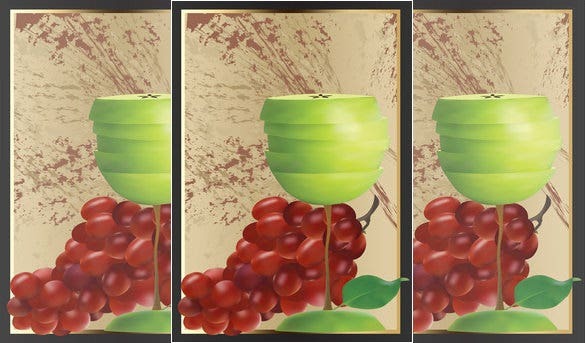 The wooden background creates an exotic flavor like no other. The elongated artistic fonts on the label beautifully compliment the decked-up theme of a wedding ceremony. 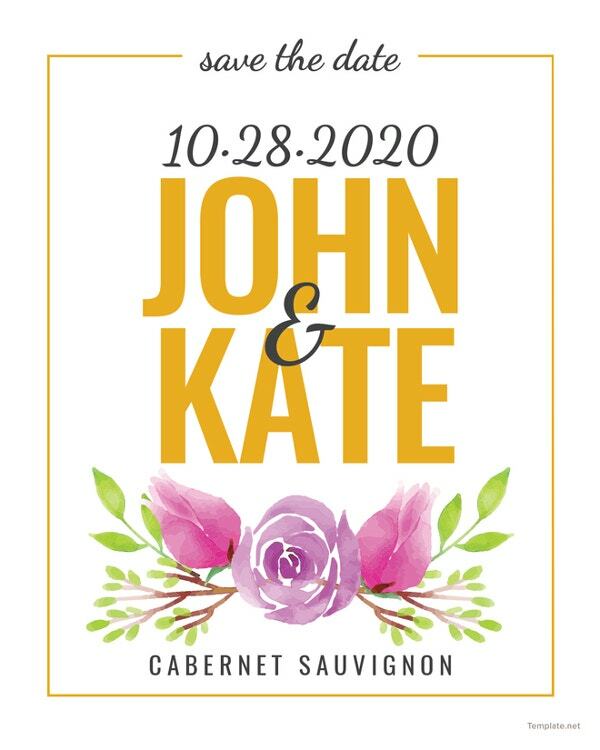 You can customize the label with the name of the bride & groom easily. 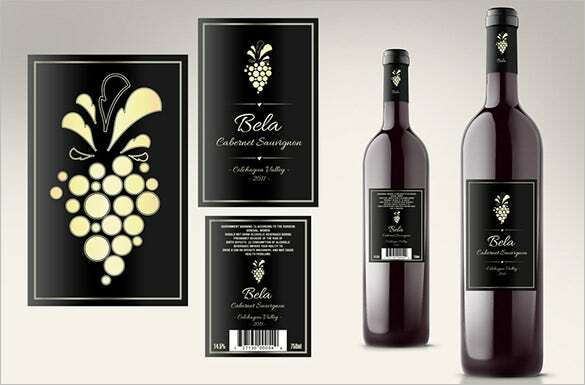 This high quality shiny wine label will help you to create your own wine label template for luxury wine brands. Customize the template with your preference of colors, add text as required and then get it printed in good quality paper. 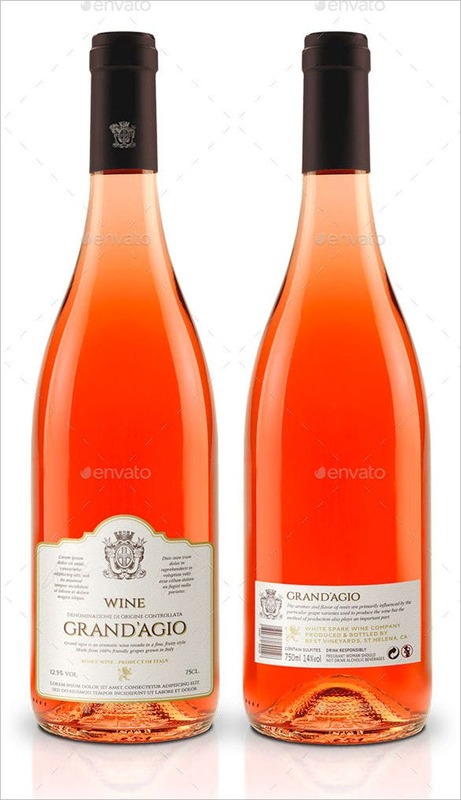 For premium quality apple wine manufacturers, this wine bottle template can prove to be a good choice. 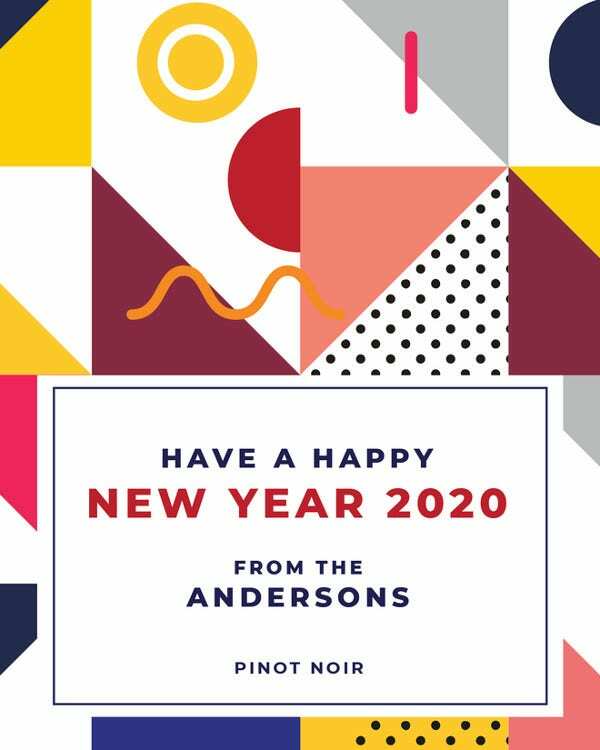 Download this high resolution template and then customize it with your company logo and details, change colors if necessary and then get it printed. 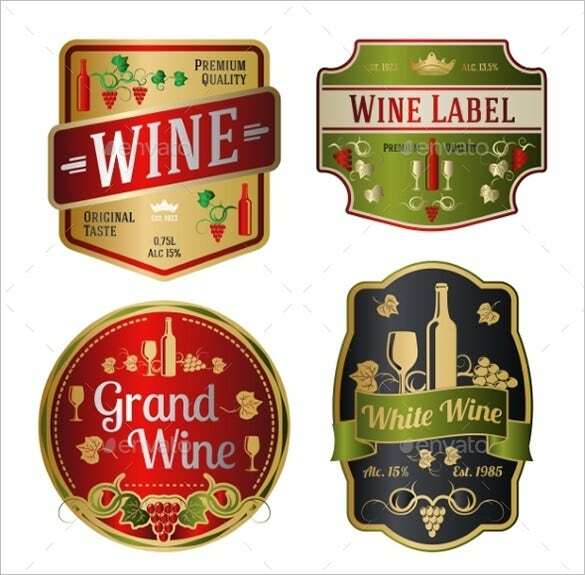 Make your wine packaging more attractive, make wine bottle labels for different flavors of wine by opting for beautiful wine label template free download. 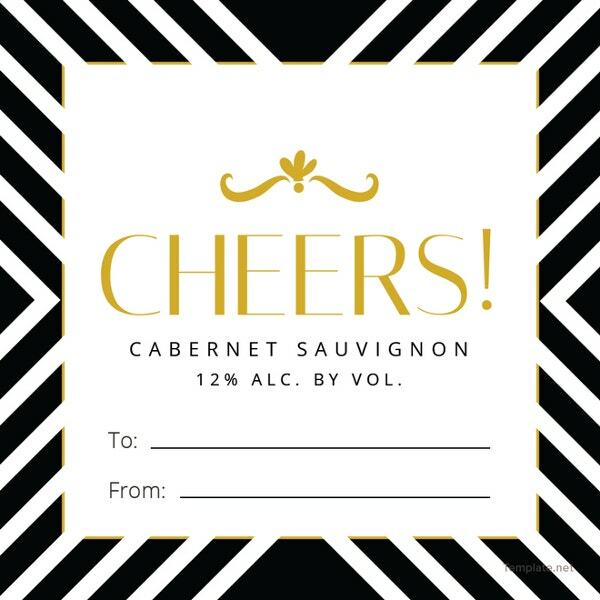 Customize the templates, with your choice of colors, add text with company and flavor details and get printed. 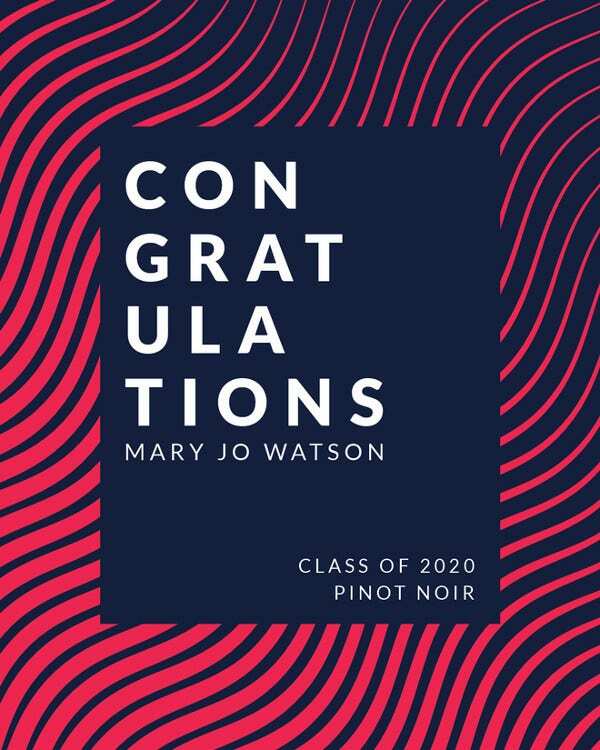 If you want to a personalized collection wines with your choice of name, then downloading this personalized wine bottle label template will be a great idea. Customize the template with your name preference with text and also change colors if required and print. 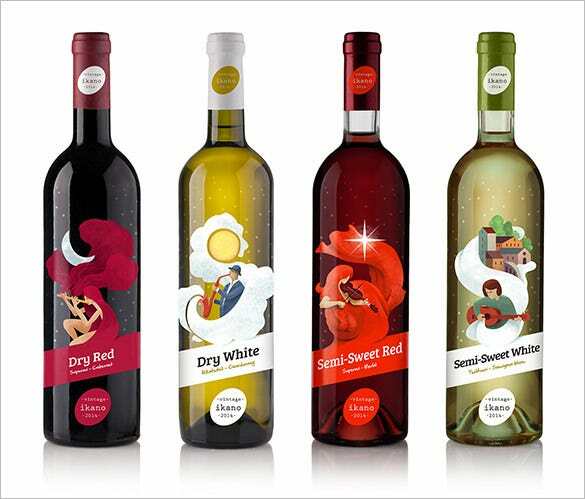 Big or small, no matter what kind of win manufacturing company you own, designing an attractive label for the bottle becomes extremely important to catch the customer’s attention. 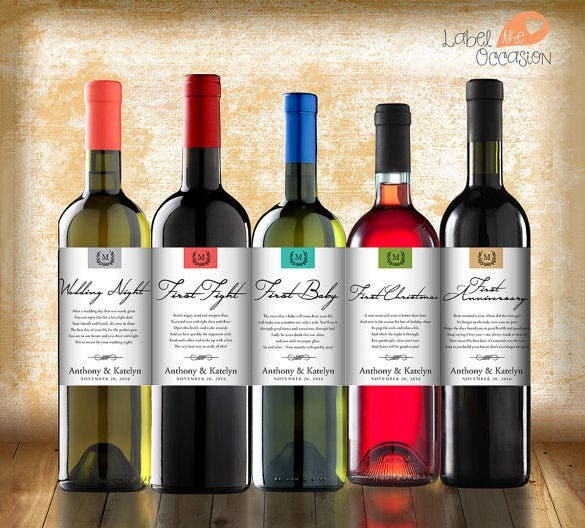 Download this template and create your own wine bottle labels by customizing it. 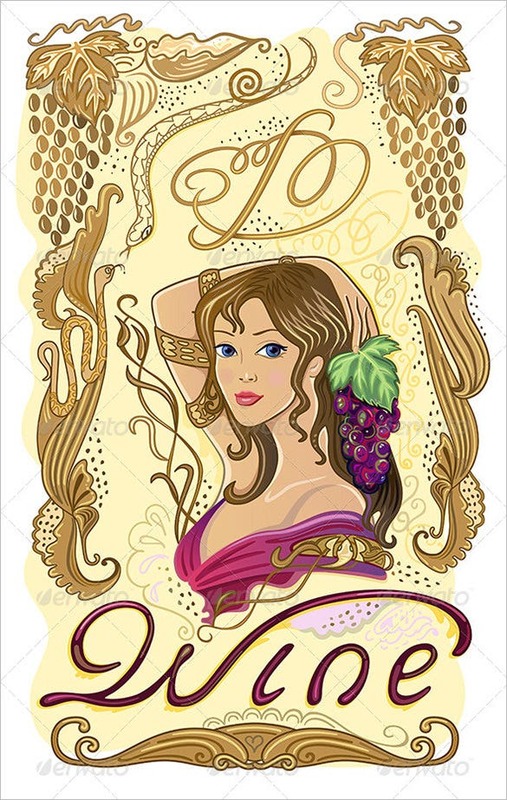 This decorated wine bottle label with images of grapes and a girl standing amidst that can be your company wine bottle label, if you download this template in vector format. 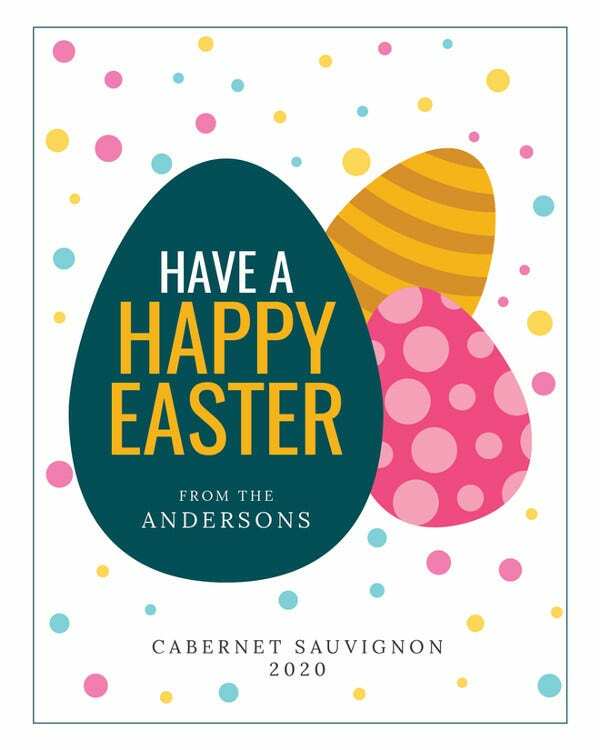 Fully editable, just add your text, replace the colors with your choice and print. 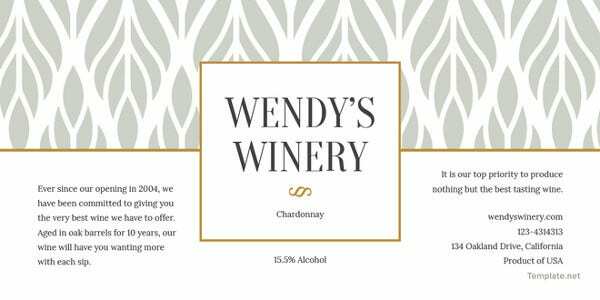 Fo designing bottle labels for your white wine manufacturing business, you can opt and download this blank label template for wine bottle and customize it fully. 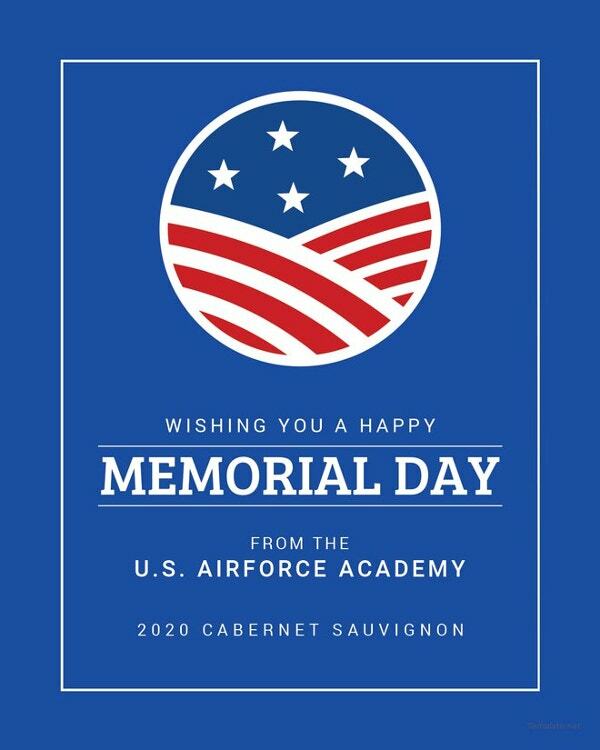 Add your preferred image, backgrounds, choose colors and text with company details and print. 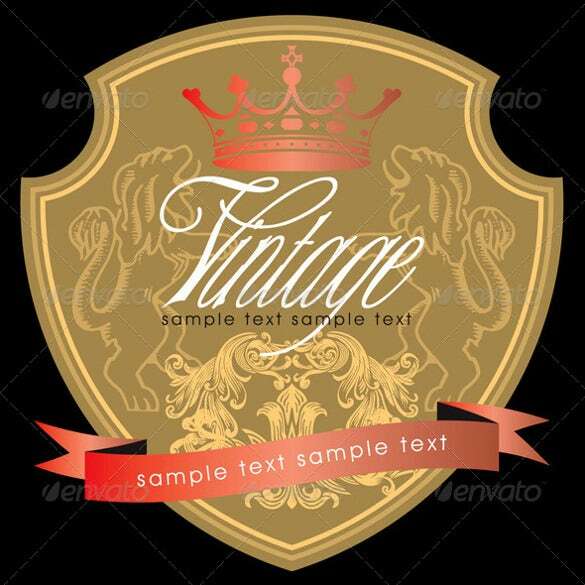 This vector illustration template of wine label is apt for wine manufacturers who wants to create some unique labels for their wine bottles. 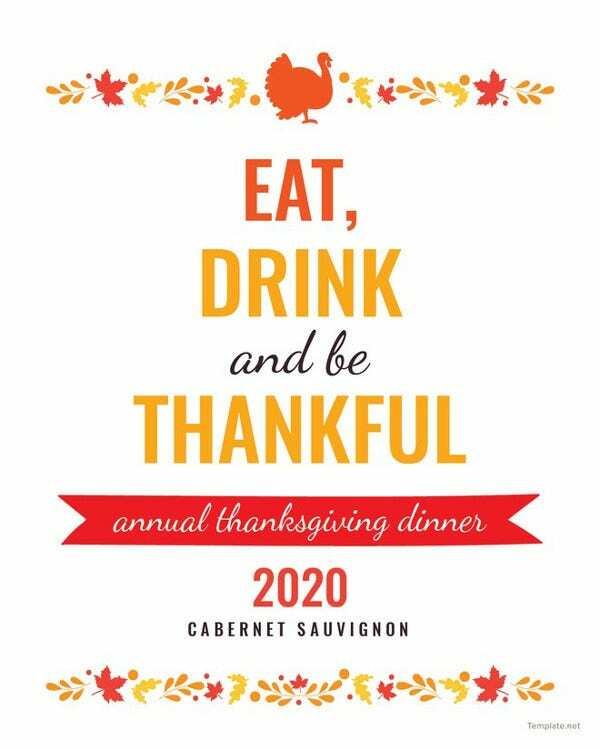 Download the template and edit tye text part with your company details, add your logo and then get it printed. 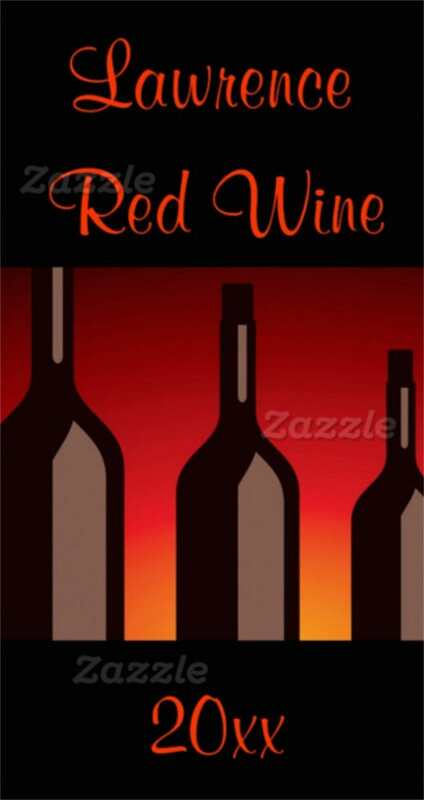 Homemade wine sellers can download this microsoft wine label template for sticking it on the bottles surface as label. It can be customized fully with preference of colors, replacing the text content with your company details and then get it printed. 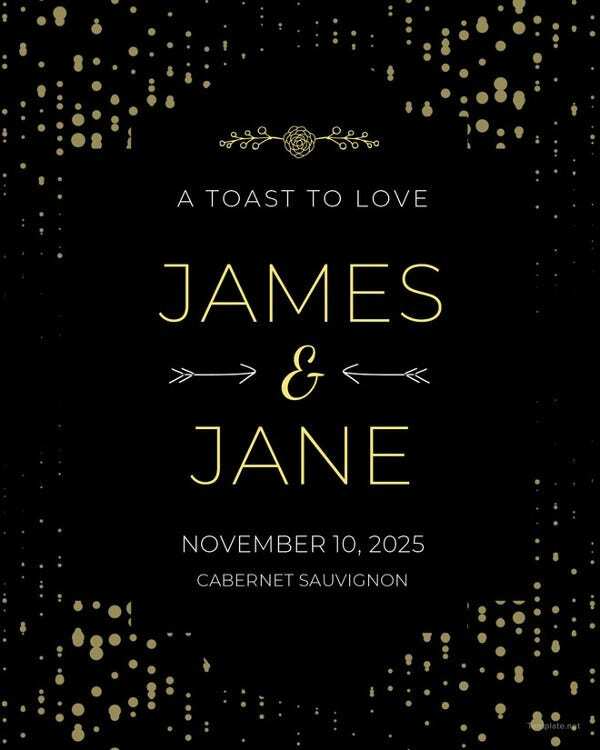 Label Templates of wine calls for different flavours and then invitees sent for wedding celebrations are sent as a unique concept which can be labelled in many forms of writing.